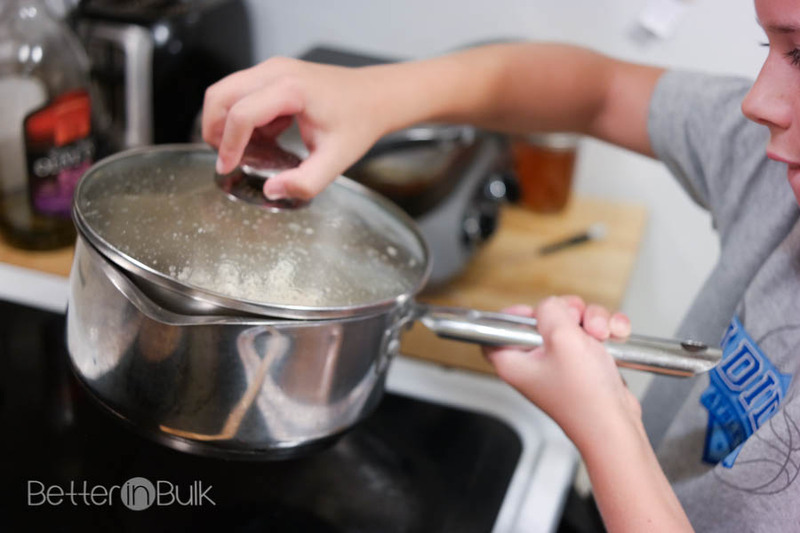 Once kernels begin popping, cover the pot with a lid. 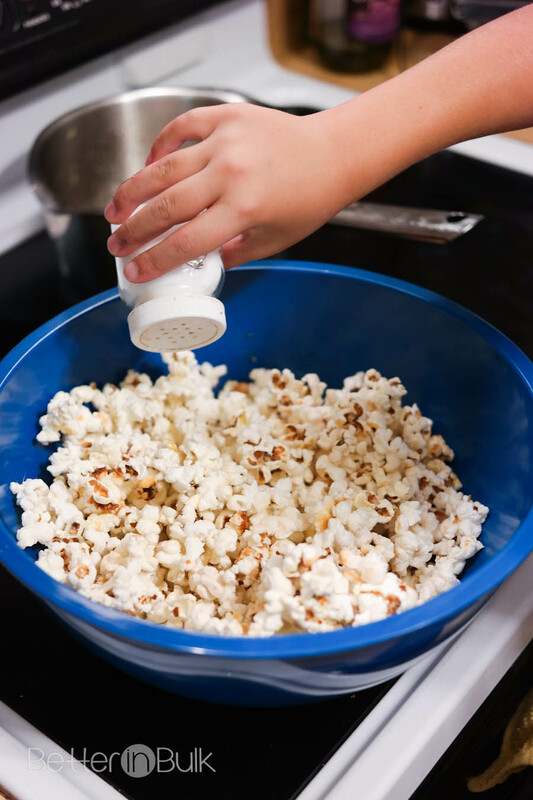 Shake the pot once or twice a minute so that your popcorn doesn't stick. 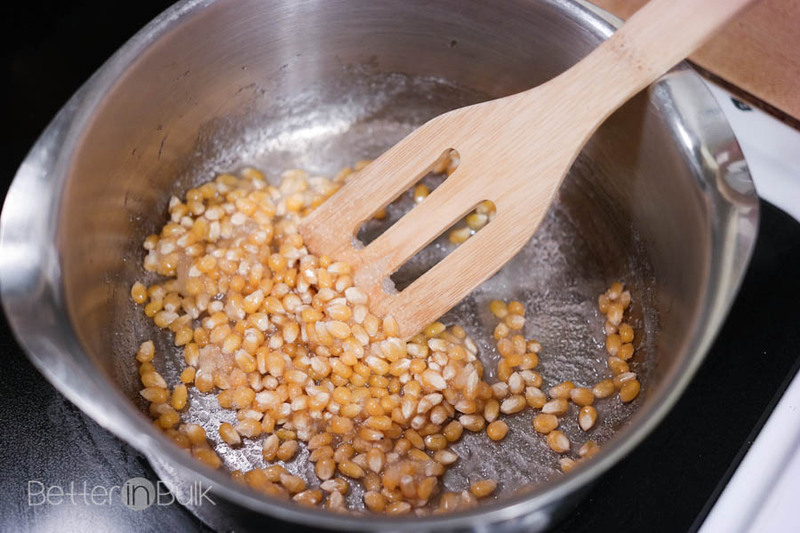 When popping has slowed down (but before it has stopped), remove the pot from the heat and let it sit. Don't remove the lid until popping has stopped. 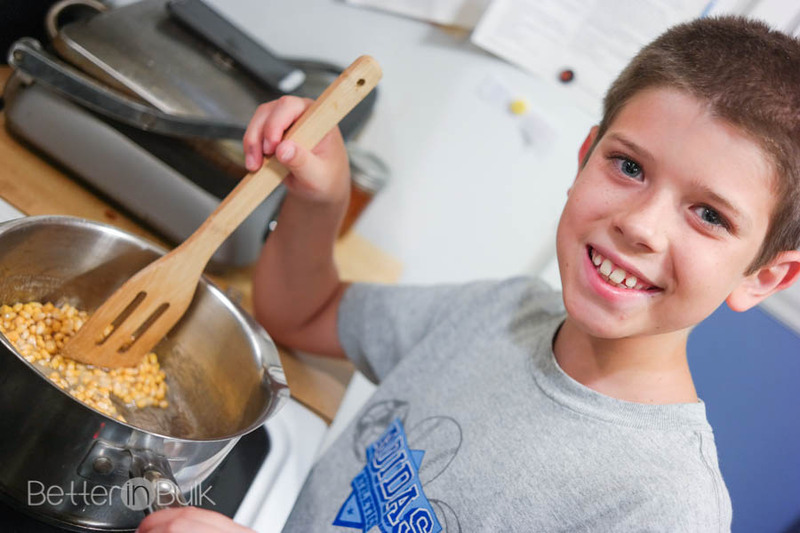 PS – AJ wanted me to be sure to point out that he made the kettle corn all by himself, except for the supervision part (I help with the pan shaking, too). Can you tell how proud he is? I saw your link at the Craft Frenzy Friday party. I love kettle corn but it’s so expensive. Looking forward to trying this less expensive alternative – pinned. I like it even better homemade now because it’s hot. 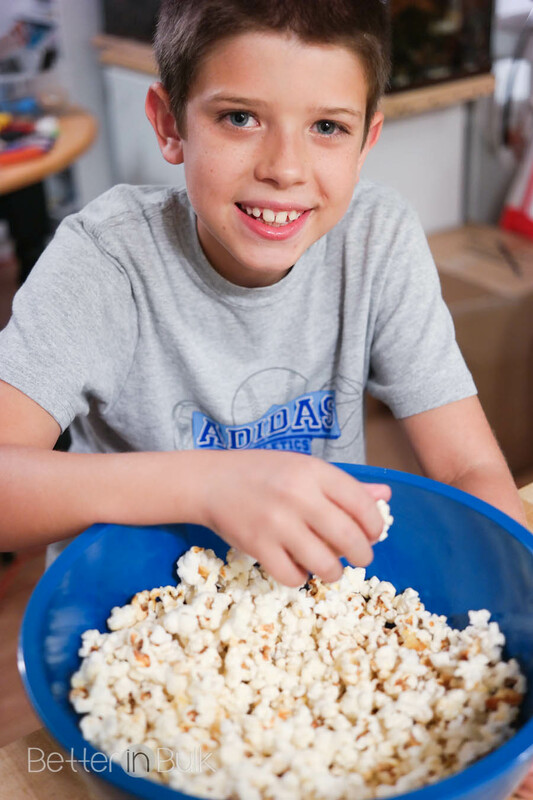 Speaking of kettle corn…I think I may have to make a batch! I’m dropping by from the Show and Tell link party. I absolutely LOVE kettle corn. I’m thrilled to learn how to make it! I think this is going to be one of my family’s well-used recipes! I am so excited to make this! 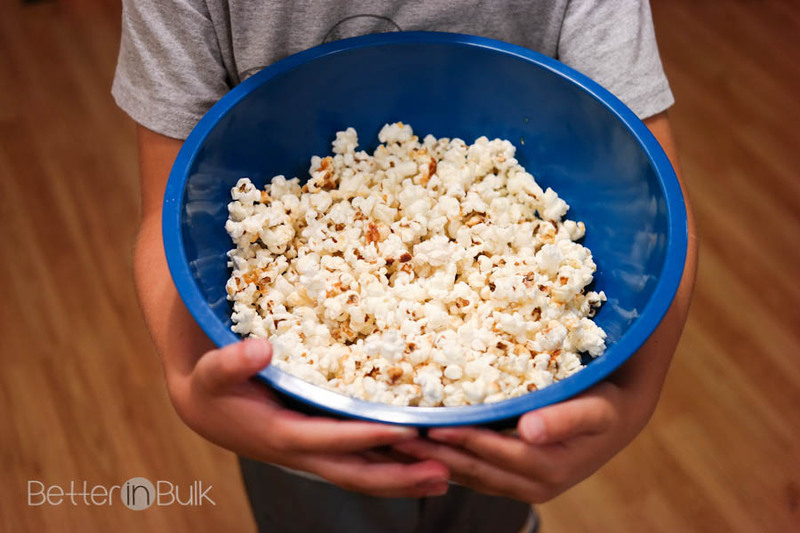 We love kettle corn and will definitely be making it for our next family night (or maybe during the next football game)! 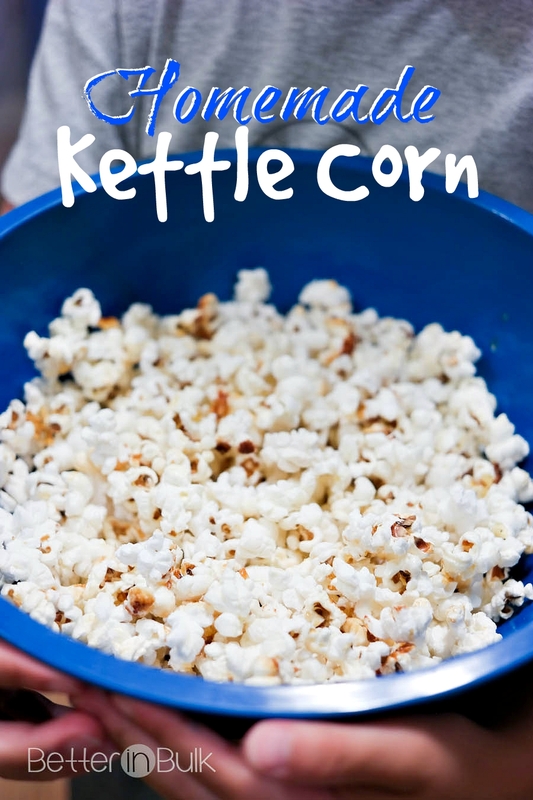 I love kettle corn but have never tried to make it. This looks yummy. Thanks for sharing! Oh yum! 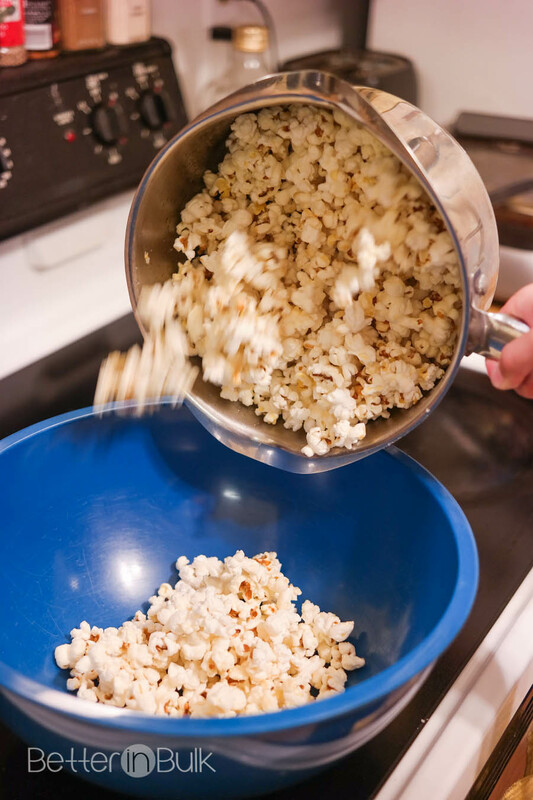 I love kettle corn and never thought to make my own! :-) Saying hello from the bouquet of talent link party!